Come join in craic and fun. Meet, greet your friends and buddies, and have a dance. 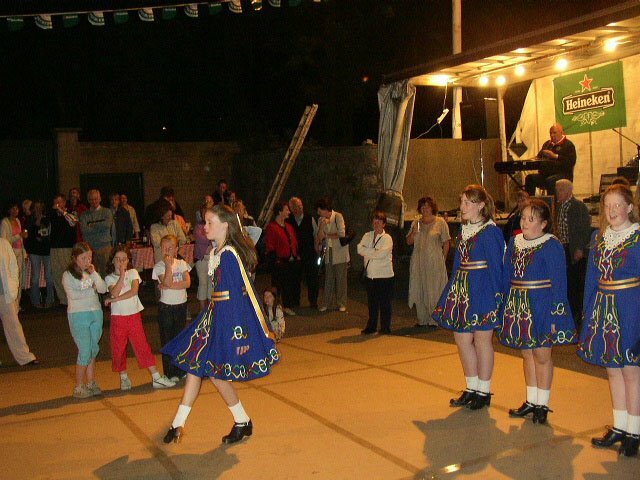 The Ceili at Cabinteely has really become popular with numbers swelling each year. The village has become a Hub for many new businesses; the arrival of new eateries, new friendships, and embracing community spirit has created a welcome for everyone. The image and profile which has developed in Cabinteely has developed from community commitment. The unity of purpose among all participants, Tidy Towns Team, Local Business, Residents, Church, County Council and Gardaí have contributed, to improve the village appeal and commercial offer. Traditional Ceili’s have been linked to Cabinteely since 1950′s when Ceili’s were held regularly in the Carnegie Library in the village. 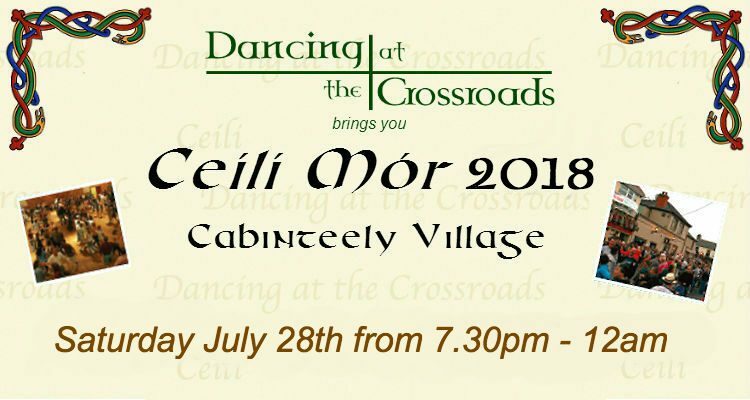 The Ceili was renewed in Cabinteely a number of years ago, but the event has really benefited, following its move to its new location opposite the Church, Johnstown Road link with N11 and Cabinteely. The new location offers the Community of Cabinteely District the opportunity come and meet, Chat, have a dance and enjoy the Quality food offered by local businesses on the street and enjoy the event. The Ceílí Mór is back again!